What are nitrogen bases and which ones go together? There are different nitrogen bases that go together. There are four types of nitrogen bases. Thymine, cytosine, adenine, and guanine are all the types of nitrogen bases. Thymine and adenine go together and guanine and cytosine go together. These bases make the structure of DNA. Copyright 2008 by Pearson Education Inc.
A nitrogen base is a basic compound that contains nitrogen, such as purine and or pyrimidine. 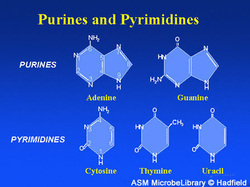 Purine and pyrimidine are nucleotides which form the building blocks of nucleic acids. 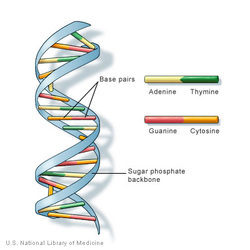 Nucleic acids are the structure of DNA and RNA molecules.